I am nothing if not an enigma and a seeming contradiction: I am infertile, but I have been pregnant; I have been pregnant but I have never given birth; I have never given birth yet I am the parent of Amy, my eighteen year old daughter. And whilst on the face of it, this statement seems to be full of impossibilities, it is completely feasible when it’s broken down into its component parts. I have experienced the condition of infertility from my late 20’s onwards, but I got pregnant when I had given up all hope after about five years of disappointments. I then miscarried my child (the only one I was ever to conceive) before I went on to adopt a daughter from China in 1999, who was fourteen months old at the date of the adoption. Like many women, I had always presumed that I would have children, once I had established my career and the fact that I was unable to was a very bitter pill to swallow indeed – so there were a number of feelings which I had to work through before I felt ready even to consider adoption. These included issues over my femininity (did failure to have a child mean that I wasn’t a real woman), over my temerity (in presuming that I would simply be able to have a child at the exact time when I was ready for one) and even over my own immortality (that strong urge to leave a “thumb print” behind on the world before it’s too late). Personally, I found it extremely hard to stand by as other people started and finished families while I was still left at the starting line, although I felt like I had already run the race several times over. I refused to go to certain shops at certain times because they were full of families and seeing them together just hurt too much, but I was always careful not to resent the good fortune of others because I was concerned that this would make me too embittered to be able to move forward at all. In fact, two of my nephews were born after my miscarriage and I was deeply conscious of the fact that although if it wasn’t my fault that I remained childless, it also wasn’t the fault of my younger brother or of either of the children. And I don’t love either nephew any less than I love the three who were born pre-miscarriage. In the end, what saved me was the assistance of good quality psycho-therapy, which allowed me to explore my feelings in depth, without feeling that I was burdening anyone else. After a few of these sessions, during which I described my fears over ending up childless, I said that I thought adoption was “cheating,” because it would get me to the place I wanted to be, without any more suffering or anguish. When challenged over my statement I was forced to admit that it didn’t make much sense. My ex-husband and I then began to consider the options available to us, which included both domestic and overseas adoption. We were influenced by the effects of the one-child policy in China in the 1990s on girls. We also wanted to adopt a baby as we had never been parents ourselves, so we wanted to develop as parents as our daughter developed, which would almost certainly not have been the case if we had gone for UK domestic adoption. The whole process from initially contacting our local authority until journeying to China to meet our daughter took twenty months in total, dealing with both the authorities in the UK and in China. It felt as though we were never going to get there at times during the waiting process. Then one day, we suddenly received the details of a tiny child, Tong Fang, who was half a world away. Then everything just started to happen in fast forward: we had to obtain visas, sort out travel arrangements, buy baby things and set off to find her, all with a few short weeks. I have to admit that when we left home to travel to China, I was filled with trepidation, as there was so much at stake, especially the welfare of our future daughter. I worried about whether Tong Fang (later to be given the English name Amy, whilst retaining her Chinese names as middle ones) would bond with us and about whether she would be healthy. Curiously, one thing I never worried about was whether Amy would feel like “mine” (something the childless often wonder about when contemplating adoption). 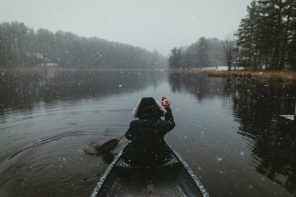 I look back on that time now and I really do wish I’d known then what I know now – that Amy Tong Fang was to bring a great deal of joy into my life and that, almost eighteen years later, I simply couldn’t imagine my life without her. Elaine Rizzo works in finance for a company based in Manchester. 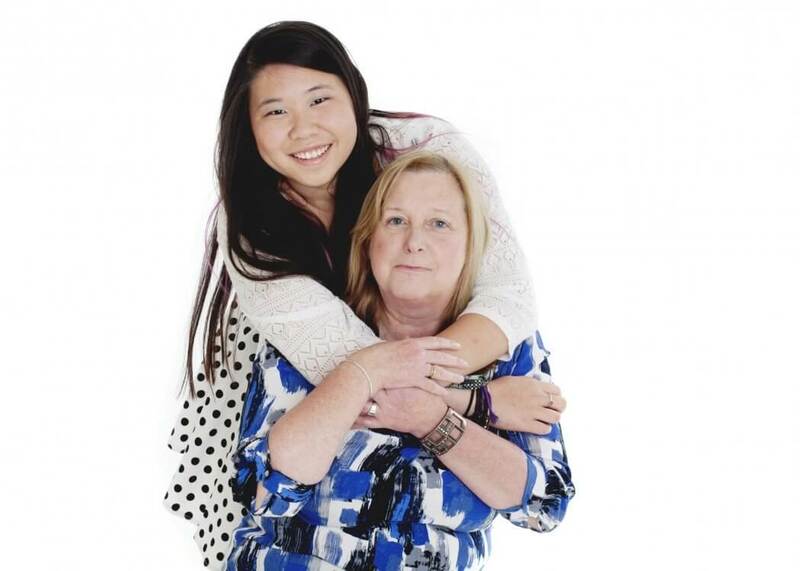 Her daughter Amy Masters is now eighteen and at college. She enjoys art and design and her ambition is to become a photographer when she graduates. Both now live near Cardigan in West Wales. Two Voices, One Story by Elaine Rizzo and Amy Masters (published by Clink Street Publishing 21st March 2017) is available to buy online from retailers including amazon.co.uk and can be ordered from all good bookstores. When Amy Masters was found in 1998, no one knew anything about her. From the identity of her parents to the actual date of her birth, she was a mystery. All that was known was that she had been discovered outside of the gates of the Tong Ling Welfare Centre where doctors estimated she was about six weeks old. 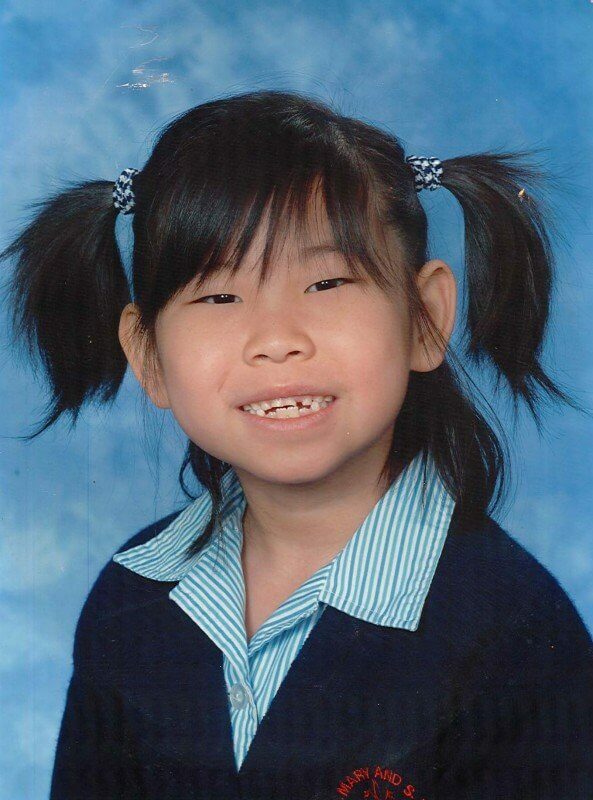 After spending over a year at the centre, Amy was adopted by a family from the UK who had navigated their own enduring months-long process through the complex foreign adoption system in order to find her. In Two Voices, One Story by Elaine Rizzo and Amy Masters, mother and daughter are both given the chance to tell the serendipitous story of how they became a family. Beginning before Amy was even born, Two Voices, One Story details how her English parents, Elaine and Lee, came to adopt her, exploring infertility and their own struggle to start a family before deciding to adopt, immersing themselves into the overseas adoption process before the couple embark on their journey to bring their daughter home with them. The story continues with Amy’s own narrative, including the few details she actually knows — and some speculation on her part to fill in the gaps — about how she came to be living in an institute in mainland China as a very young baby , charting her childhood in England and her adolescence in Wales, culminating just before her eighteenth birthday. Amy and Elaine give their own unique take on the emotional adoption roller-coaster; their honesty and determination to be a family is moving, thought-provoking and ultimately uplifting. Two Voices, One Story reveals the deepest thoughts and feelings of a parent who travelled the world to find her child, a daughter who has made a life for herself in a new country and culture, and the modern family they have created together. You may also like Ageing Without Children – Who’s Going To Look After Me?, Our Dog Love Affair. Who Needs Kids?, Thoughts On Feeling Invisible In Midlife And Beyond and Building Confidence Through Changing Limiting Behaviours.